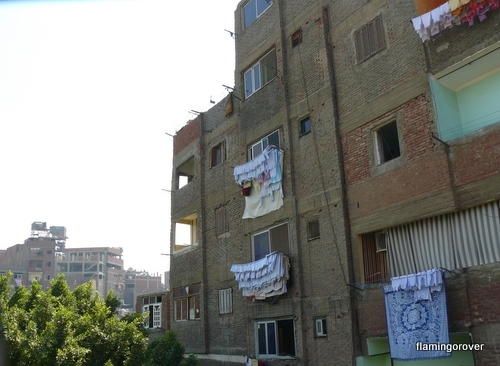 At the moment I am a guest in an ex-pat neighbourhood in New Cairo. I am somewhere between a backpacker and an international local. But this is not Egypt. The contrast from my time in Africa sometimes makes it hard to take the golf club, water aerobics, brunch, suntan, swimming pool, four toilets per household, maid and driver lifestyle seriously. If only it was not all so comfortable! In between lying by the pool and eating very well I have been doing the tourist thing. There was a day at the Pyramids and a morning at the museum, all spectacular, but only allowing the occasional glimpses of the real Egypt. Then yesterday my cousin and I went on a day trip to Garbage City. Driving around in 4WD air conditioned comfort I had already noticed that Cairo is a city with a lot of rubbish, in the streets, canals and desert around the pyramids there was trash everywhere. So although I knew we were going to see a recycling project I had not imagined that a day trip to Garbage City would be anything more than another reminder of the stark gap between the haves and the have nots. 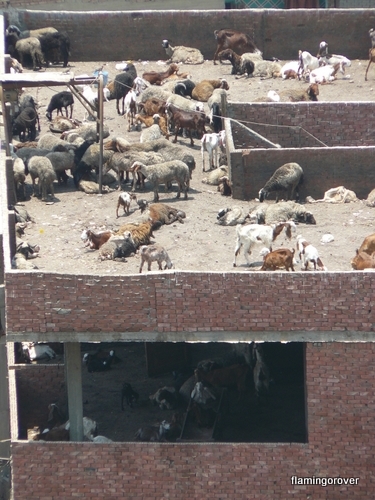 And at first when you look down on this mass of half built structures, covered in rubbish and or livestock it is a depressing sight. 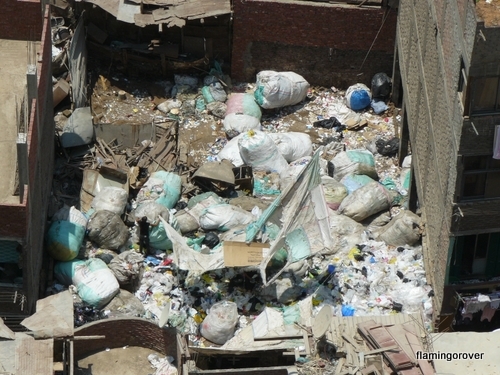 There spread out before you is a collection of poor, permanently downtrodden people drowning in Cairo’s garbage. Urban farm- five stories up. But the reality is quite different. 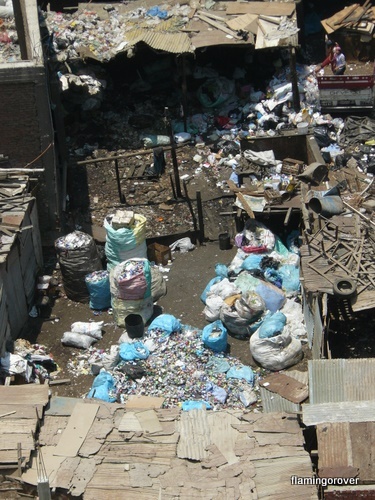 The Mokattam district on the outskirts of Cairo, known locally as Garbage City, is not a city of garbage- it is a city of garbage collectors. The Zabaleen (the Arabic translation of garbage collector) have an incredibly layered history of struggle, persecution and ingenuity. The story of a group of people who moved from farmers to squatters to urban garbage collectors is probably better told by those who have spent more than an afternoon learning about the area. I recommend A.P.E. Any notion that the city below breeds nothing but hopelessness washes away as our guide points out the layers of industry taking place on a huge scale in front of us. 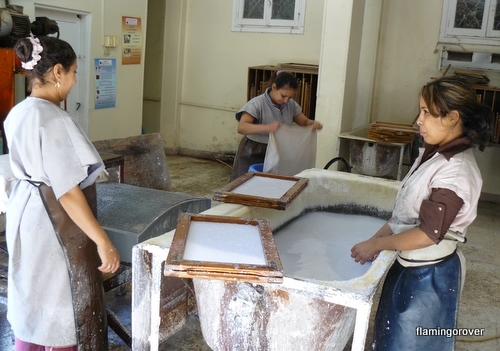 Plastic, paper and glass are sorted, processed and sent on their way. 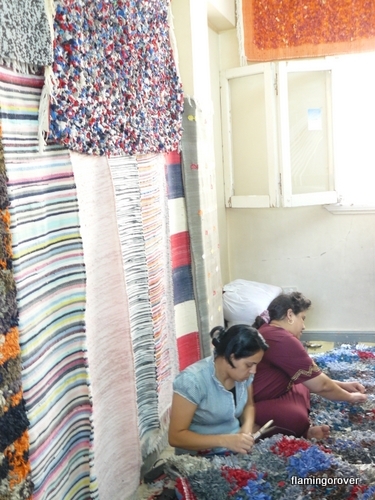 Away from the glaring sun there are women making beautiful new products from recycled paper, and weaving rugs from factory offcuts with the support of an NGO. One of the figures I find impressive is that at one time the Zabaleen processed 40% of Cairo’s waste and recycled 85% of this. Educating the (at the moment) occasional tourist on the reality of life for the Zabaleen is not our guides main gig. 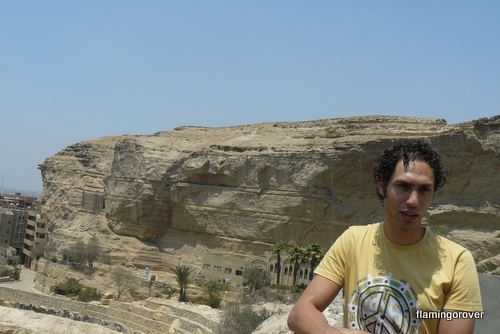 Hannah Fathy Rostum works for Solar Cities, he is a locally educated young man who is proud of his heritage as a garbage collector and has visions of Garbage City becoming Egypts centre for renewable energy. Working towards this goal has seen him travel the world to teach and learn about renewable energy. Current projects are solar hot water heaters made from locally recycled materials and a biogas digestor turning food scraps into gas. His energy, enthusiasm and big ideas make him not just an asset for his local community but also the world at large. 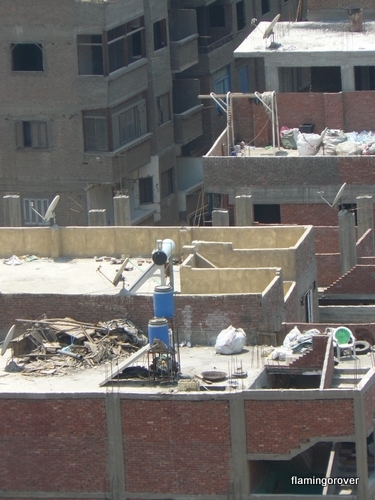 For a fuller bio of Hanna go to Cairo 360, and click here for details and instruction on how to build your own solar hot water heater from recycled materials. A Solar City solar panel at work in Garbage City. 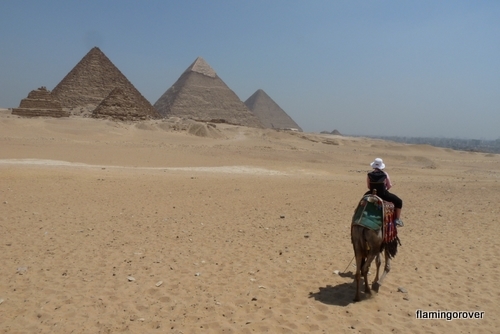 At the end of many of my sightseeing days I have felt Egypt’s wow factor. But the wow at the end of the day spent in Garbage City was on a different level. 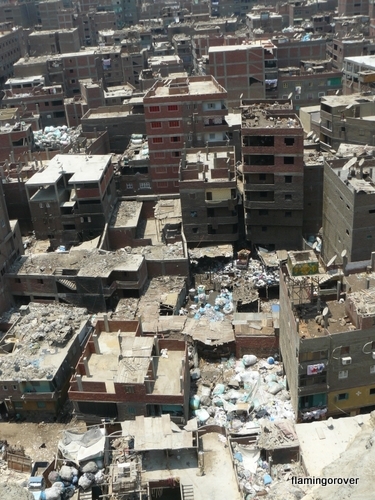 As impressive as the sights of Egypt’s past have been, seeing day to day life in Garbage City, with all its fragility and endeavor for the future was truly inspiring. And unlike the Hippo pool in the Serengeti there was not even a stink in Garbage City. Previous Post The long road to Cairo.